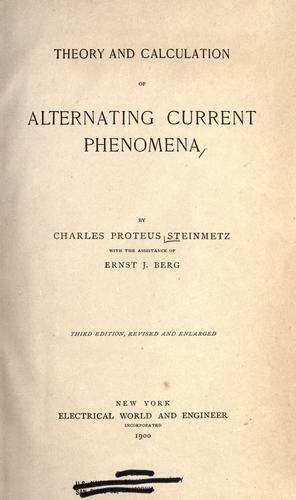 11 editions of Theory and calculation of alternating current phenomena found in the catalog. Add another edition? 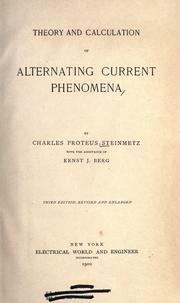 Are you sure you want to remove Theory and calculation of alternating current phenomena from your list? 3rd. ed., rev. and enl. Published 1900 by Electrical World and Engineer, inc. in New York .